I have a confession to make. 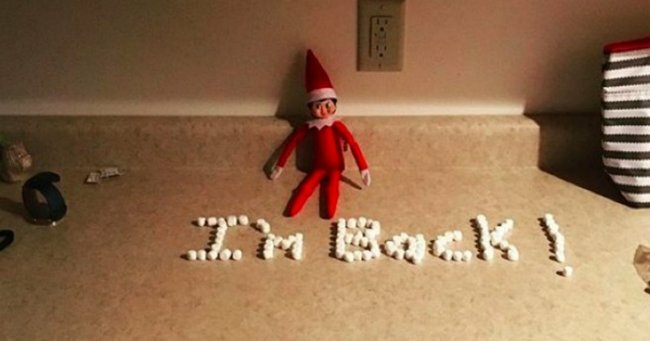 A confession about Elf on the Shelf. One that might stun you. Before I start let me set the scene: I have three children; with them I have seen Christmas nine times. Nine month-long celebrations of tinsel and wilting pine trees. Nine years of over cooked turkeys and underdone spuds. And after nine years, I still don’t know what Elf on the Shelf is. I don’t know how I missed it. After nine years I still don’t know what Elf on the Shelf is. Image via Instagram. Sometime between my first born’s elaborate hand crafted beautifully wrapped first Christmas and then number three’s arrival (which saw Christmas descend into a frenzy of brightly-coloured plastic toys and whoops-I-forgot-to-order-you-a-hand-embroidered-stocking-just-use-this-pillow-case) this phenomenon arrived and I missed it. 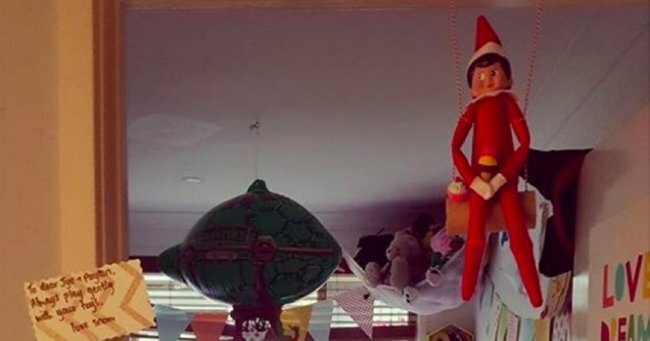 This “Elf on a Shelf” thing that people do. Do clever parents really stay up late each night crafting ingenious tales of magic and wonder for their children? And how do they have the time? Where do they get their ideas? And why is it already ALL over my Facebook newsfeed? 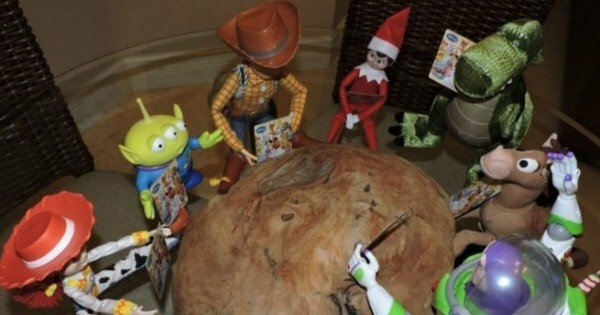 “The Elf on the Shelf is Santa’s scout elf who reports directly to the North Pole on the behaviour of children leading up to 25 December, ” one toy sales site told me. “Once children have given the elf his name, parents hide him in different places around the house and each morning children try to find him. They are not allowed to touch him but they are encouraged to talk to him and share their secrets and wishes, which the scout elf will take back to Father Christmas each night,” it continued. 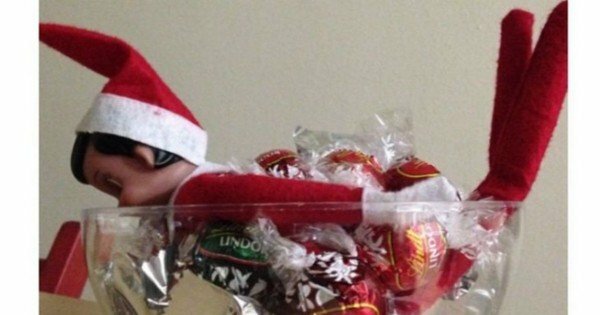 The Elf thinks he is a chocolate mermaid. Image via Instagram. 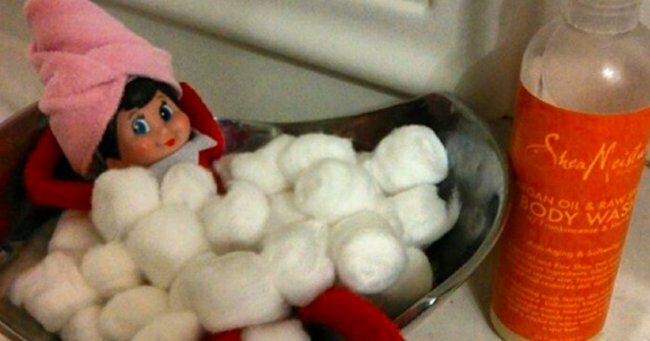 Since it was first published in 2005, “The Elf on the Shelf” has sold more than six million copies and become a Christmas tradition for Pinterest-type mums trying to outdo each other with cleverness. He now has a website, a Twitter account, has made US$16 million in sales for 2011 and an annual growth rate of 149 percent. Oh and a movie deal. 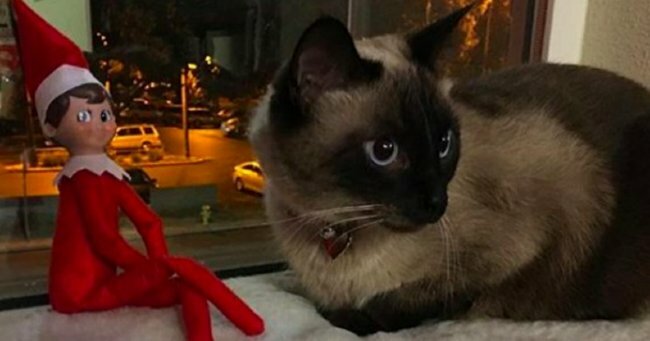 Of course as with all things, the Elf has attracted his doubters with one expert saying that she feels the Elf on the Shelf is a demon in disguise. Well she didn’t go that far but what she did say was that it sends the wrong kind of messages about privacy. Some academics don’t like Elfy. Image via Instagram. 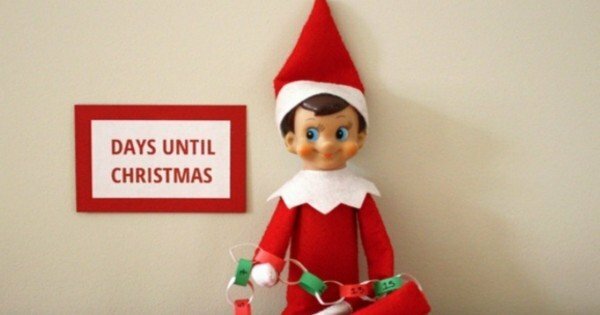 Dr. Laura Pinto, a digital technology professor at the University of Ontario Institute of Technology, wrote a (possibly overthought) essay arguing that “The Elf on the Shelf” teaches kids that it’s okay for people to spy on them and that they’re not entitled to privacy. Gosh. Here I was just wondering how on earth you come up with 20 or more scenarios to amaze and thrill your little people. So what I’ve learned is that Elf on the Shelf is a marketing genius who spies on you – and I thought that was just my iPhone. As much as you might be tempted to introduce Elf to Barbie and Instagram the results, this is for the kids. Image via Instagram. What I can see is that Elf on the Shelf is magical for Christmas. And so in the spirit of being festive (and to stop myself watching so much Netflix) I have decided to purchase one for my three deprived children. 1. It starts on December 1. Lesson learned by one parent who had a few too many margaritas at the office Christmas party and the next morning she couldn’t even remember where she had hidden the little guy. 3. Set a reminder on your phone to re-position the little guy. As much as you might be tempted to introduce Elf to Barbie and Instagram the results, this is for the kids. 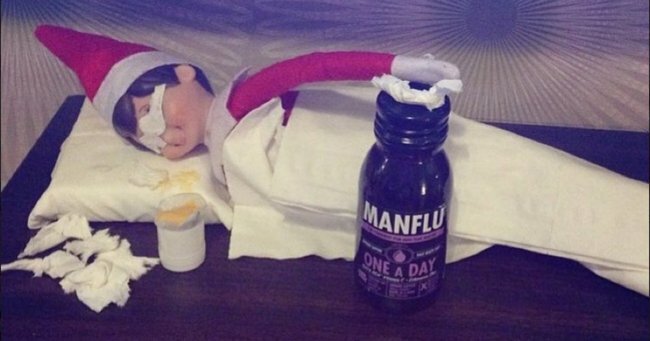 Do you use Elf on the Shelf? 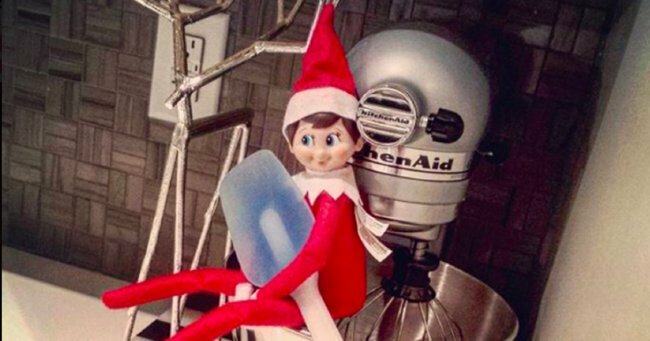 Elf wants to bake a cake. 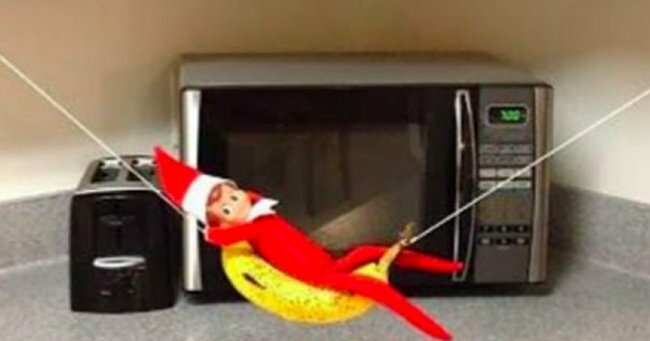 Image via Instagram.Elf on a banana hammock. Image via Instagram. 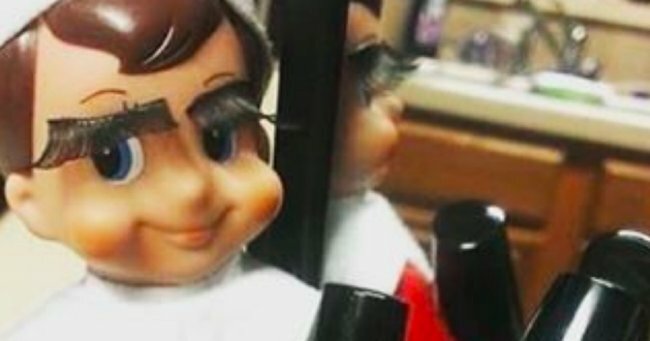 elf eyelashesElf getting all glammed up. Image via Instagram. Elf hangingElf just hanging out. Image via Instagram. Elf CatElf with his friend, cat. Image via Instagram. Elf kitchenElf wants to bake a cake. Image via Instagram. 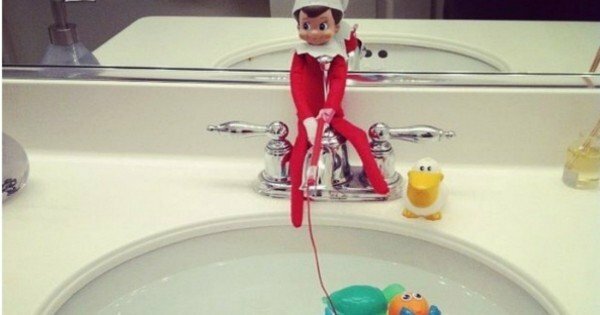 Elf bathElf taking a bath. Image via Instagram. 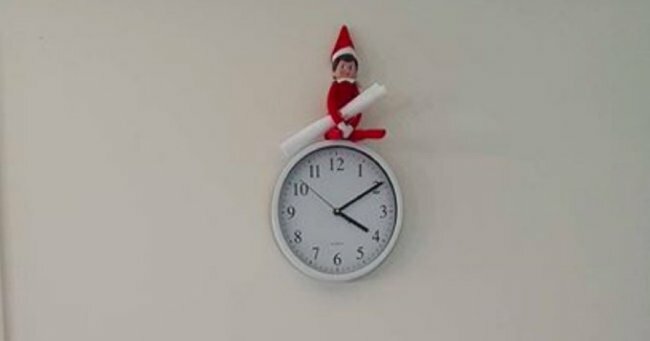 Elf clockElf checking the time. Image via Instagram.